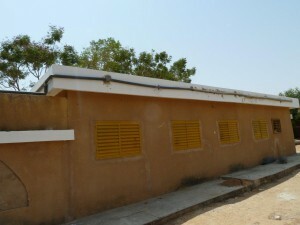 End of April 2014 our staff will in close collaboration with a local contractor, deliver a 250.000 liter RainCAP project for the Hospital of Dalal Xel in Fatick, Senegal. End of April 2014 our staff will in close collaboration with a local contractor, deliver a 250.000 liter RainCAP project for the Hospital of Dalal Xel in Fatick, Senegal. 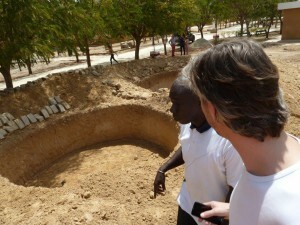 The project is unique for this region in Senegal, which is characterized by extremely deep ground water levels (minus 100 meter) and poor ground water quality: high salinity and high Fluor content. Although the region is pretty dry and situated in the so called ‘Sahel’, during the rainy season up to 800 liters of rain per m2 can be expected. AAWS makes use of this characteristic to collect 250.000 liters of water from the rooftop of the Dalal Xel Hospital in Fatick. The water is filtered and purified using a solar powered UV disinfection system. The result is enough clean drinking water for the staff & patients of the hospital. Once the system is in operation The staff in the hospital will investigate the possibility to sell the drinking to local villagers and travelers. Doing that an extra source of income will be generated making it possible to spend more money on serving patients and curing their sicknesses.